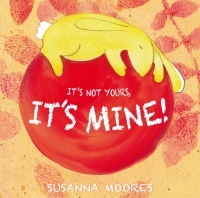 Vibrant debut picture book by Susanna Moores. Blieka has a favourite toy, and doesn’t want to share. A charming tale about friendship and sharing. You are here: Bookshop » Child's Play Library » It's Not Yours, It's Mine!